Irish superstar rushes to girl's aid at signing event. 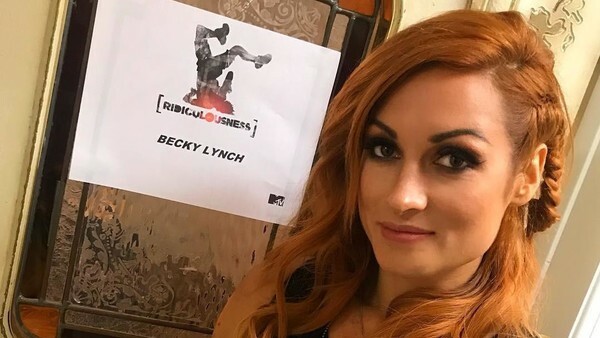 The babyface credentials of WWE's top star and WrestleMania headliner elect Becky Lynch cranked up a notch this past weekend, as the Irish Lass-kicker came to the aid of a fan suffering an apparent seizure. Reports from a signing event this weekend tell that a girl waiting in line started shaking uncontrollably, and was unable to ascend the stairs. Lynch then leapt from her seat and ran towards the girl, holding her for around five minutes until the episode had passed. Afterwards, the breakout star sat with the fan to ensure everything was OK until EMTs arrived to offer medical assistance. Hopefully, the stricken fan has went on to make a full recovery. It goes without saying, but huge kudos to Becky for demonstrating so much compassion during someone else's time of need - and it's another tick in the box for why she should main event 'Mania.